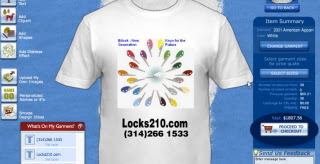 Locks210.com is pleased to present this product keyed to Bilock with your choice of key head colors and 3 keys. 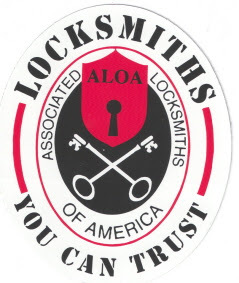 Locks210.com, under the parent company Master Key Systems America LLC, is proud to be a member of the Associated Locksmiths of America. To practice their profession in the spirit of fairness to their clients, with fidelity to security in conformance with appropriateness and with high ideals of personal honor. To properly and impartially analyze security problems and to advance the best possible solution for the protection of their clients. To conduct themselves in a dignified manner. To abide by applicable licensing and business regulations. To abstain from using improper or questionable methods of soliciting patronage and to decline to accept such incompatible patronage. To refrain from associating themselves with or allowing the use of their names by any enterprise of questionable character, or in any manner countenancing misrepresentation. To cooperate in advancing the best interest of the locksmithing industry by interchange of general information and experience with fellow locksmiths. To encourage and promote loyalty to the profession, always ready to apply their special knowledge, skill and training for the use and betterment of our industry. I realise this is only a toy, but whilst it is incredibly inexpensive, it is probably a product that some locksmith shops might like to sell as a novelty product for their christmas shopping customers. 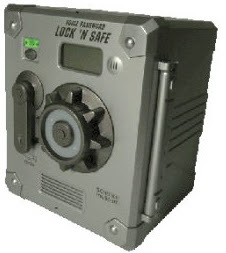 Mini safe, which is activated by voice. It's designed to look like a real safe with chunky combination knob and industrial style lever and features a LCD display and a flashing code light. It comes with a preset combination, which you an easily change to your choice of number by turning the knob on the front of the safe. Better still, set it with your voice: a simple password is spoken into the built-in microphone, and "Open Sesame", you have access to your cash. If you don't get the password or combination right, the safe tells you in four preset phrases to try again, Don't worry about about forgetting your password as it can be easily reset, providing you don't forget the combination. Once open, the safe reveals a coin tray and a cavity for hiding your stash. Wireless alarm system with SMS notification. Does not require a permanent telephone connection. Wherever you are, you receive alarm notification via SMS. Makes use of the GSM network (via a SIM card in the control unit); you can check the alarm system from anywhere (within the GSM coverage area). Ideal for the protection of your (vacation) home, construction project, stables, storage shed, etc. Alarm can be activated and deactivated remotely. You can switch lights and appliances on and off via a built-in relay. In combination with the Marmitek X-10 transmitter SM10 (available separately), you can integrate the system with Marmitek X-10 Home Control. You can program a maximum of three telephone numbers (for notification). 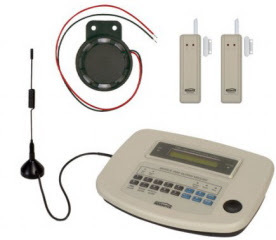 The GSMguard300 set includes a control unit, two door/window sensors, an antenna and a siren. There is no limit to the number of extra wireless door/window sensors that can be added to the system. 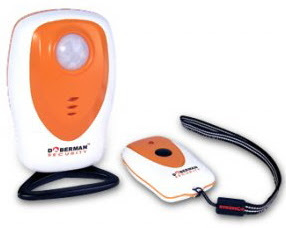 Portable Passive Infra Red alarm system from Doberman Security Products is a fully portable remote controlled alarm system inclusive. The Infrared Perimeter Protector Alarm accompanies you on your outdoor activities when you have valuables to protect. Originally designed to solve the problem of animals stealing food from camp grounds, the Infrared Protector Alarm is the perfect device to protect a designated area and/or valuable item. 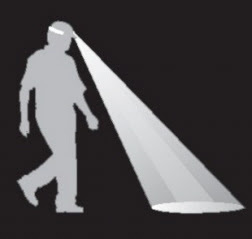 The Passive Infrared (PIR) function spreads a 90˚ sweep and up to 4.5 metres in length outward from the device. Simply wrap the plastic coated, retractable steel cable around your briefcase handle, sports equipment, luggage or other valuables and secure them to a table leg, bench or heavy object. The 100 decibel alarm screams if the cable is cut or the combination lock is attacked. There's an optional movement sensor that sounds the alarm if the lock is moved. (A time delay allows user to lock/unlock before sensor activates.) Perfect for hotel room doors. Operates on four 1.5 volt batteries (included). The secure battery cover can only be opened when unlocked. Cable extends up to 24". Unit measures 2 2/4"h x 2 1/4"w.
You may have noticed a box on the right side of this page at the top. This service is a unique calling system I use for my main business number. Best of all it is currently FREE. Below is an explanation of how it works and some of the features. I believe this is a product on the cutting edge of communications. The ability to record part of a call when no pen or paper is handy is simply excellent. This is the new promo video for one of Mut-T-Lock's new products. Still looking for keyholes in the dark? You won't be with these locksets that allow you to unlock your door with a convenient remote control. These high-security, infrared remote control systems are similar to the keyless entry systems on luxury cars, yet can be installed easily by even the most novice do-it-yourselfers. You won't even have to drill any holes or wire any power cords! Although the locksets come with two remote controls, they'll recognize up to 30 different remote control codes in case you want to duplicate one for multiple users (great for families). Programming is a simple push-button process, and takes only minutes. The locksets are also incredibly secure. They're built with a 6-pin cylinder and a free-spinning cylinder guard to prevent tampering. A protective inner shroud also resists prying or wrenching. Units are constructed with lifetime tarnish-free housings (in either brass or satin nickel) and are available in two styles: Standard Doorknob and Lever Handles (left- and right-handed models). All models have adjustable backets (switchable between 2 3/8" and 2 3/4"). Enjoy the Convenience of Keyless Entry at Home! Increase home security and let visitors in more easily with this electric door strike designed specifically for deeper, Schlage-brand locks. 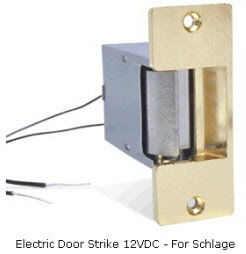 This 12VDC Schlage compatible door strike replaces your existing strike plate with an electro-mechanical release mechanism. Simply wire one in series with a low-voltage push-button switch, an X10 Universal Module or the relay release of an intercom system, and your visitors will be able to push or pull the door open when power is applied. You can also connect them to a keypad, alarm system or other entry system. 12-Volt DC Power Supply sold separately. This is about 4 months old but the principle is straightforward. It is in Russian and performed in a lock company workshop. Admittedly, the real-world scenario may prove to be somewhat more difficult but it is clear from this piece that most Mul-T-Lock products do not offer the high security that people are paying for. This may not be directly related to the security industry, but security companies and locksmiths might be interested in designing their own T shirts with their own logos or designs on them. As you can see in the picture, this example would cost in excess of $50.00 per shirt with a minimum order quantity of 36, but you can get them as low as $11.95 each, depending on your design. 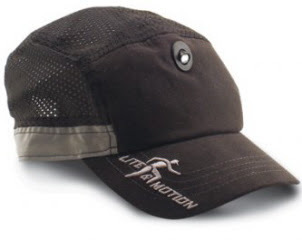 A wonderful product valued at $24.95, currently not available embroidered with your company logo, although I'm sure it would be possible. I know many tradespeople who would get some good use from this. Designed and made in Germany, one of the standout features of knock-in-key is the fact that it doesn’t stand out at all. It’s compact design means that installation is a breeze and it won’t look out of place in your car. · “What a great idea!” is a comment often heard when people hear about knock-in-key, and the best ideas are often the simplest ones, but it took a wealth of technical brilliance and programming genius to bring this `simple idea’ to you. · ‘Simple but not simplistic' when it comes to security, Knock-In-Key requires you to pick your own code of 5 to 12 digits and won’t allow simplistic combinations of more than two repeated numbers at a time. It also requires you to input a new code after it has unlocked your doors in case anyone saw you enter. · Knock-in-key is like a ‘trusty old friend’; always ready to help you out when you need it most. Even if you forget your code, or just want to check it, you just have to query knock-in-key for it. knock-in-key acknowledges your inputs with a flashing different coloured led. Be it by knocking or inputting code directly into the unit, this device lets you know it’s there and working for you. It even lets you know if you’ve forgotten to set the code. 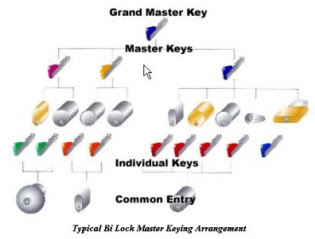 · Your knock-in-key comes preset with standard parameters but some may be tailored to suit your individual needs. 1. There is a choice of four different locking types, for different makes of vehicle. 2. Blocking time can be shortened from 1hr to 30 minutes. 3. You can increase the maximum number of wrong attempts at the code from 3 to 5. 4. If you require a shorter code length it can be shortened from 5 to 4 digits. 5. You may not want to keep re-inputting your new entry code after each use so it may be set to keep your old code active after every use. (Note; some of these changes of parameters will directly affect the level of security therefore we advise that due consideration should be made before making such parameter changes). · Knock-in-key is so versatile that it has also been successfully wired into electric door locks for buildings, houses and for various other applications. 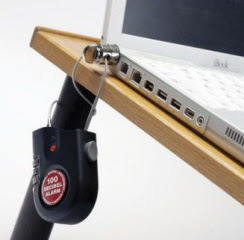 Here is a novel way to protect your spare cash or keys or credit card. It is most unlikely that you will get mugged for your socks dont you think? Unfortunately the original manufacturer has removed the product line, but I'm sure someone else will take it up. It is a brilliant idea. A great gift idea. * This hand gun safe is the perfect place to store your guns without worrying who can get to them. 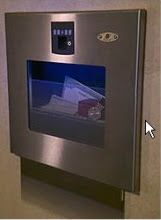 * Secure your firearm with this wall safe that is Department of Justice approved for home safety. * Please see description below for more information. Do you feel safe in your home or neighborhood? Have you thought about having a hand gun in the house for protection, but don’t want your kids to get a hold of it? Gun ownership comes with many responsibilities, but now you’ll have one less to worry about. This hand gun safe is the perfect place to store your firearms without having to worry about who can access to them. This fireproof wall safe uses the latest advances in fingerprint measurement technology to quickly allow you access to your gun safe, and prevents unauthorized people from getting in. This safe is capable of reading your fingerprint in seconds which allows you quick access to your firearm, when you need it most. So if you need a hand gun in the house, do the right thing and secure your firearm with this fireproof wall safe that is Department of Justice approved for home safety. The main storage space of the home safe can accommodate approximately two hand guns, while the hidden storage compartment in the back of this in wall safe is the perfect place to ammunition and other small valuables, such as jewelry, passports, and credit cards. This fireproof wall safe is constructed of handsome 14-guage stainless steel for maximum strength and durability. The biometric sensor can store up to 6 different fingerprints scans, so you won’t have to worry about loosing keys for this wall safe. Because of the fingerprint scan, you won’t have to worry about your children getting a hold of anything inside. The recessed door opens quickly at the scan of your fingerprint, and protects the safe from someone prying or trying to tamper with this gun wall safe. * This item ships directly from the manufacturer. Product usually arrives in 14-21 business days, depending on destination, including order processing and shipping. 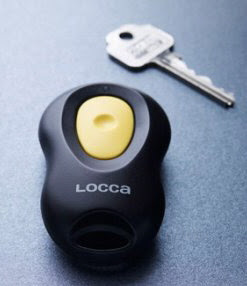 This new product from UK might have some appeal to home owners the Locca is a novel way to open your door. Similar in design to a garage door opener except that it uses rolling code technology, similar to BMW and Mercedes transponder technologies. Australia hasnt escaped the bumping phenomenon either. 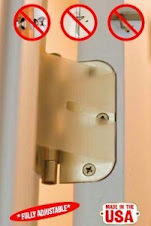 At least the Australian designed Bilock locking system is available to protect consumers. Bilock cannot be picked or bumped! 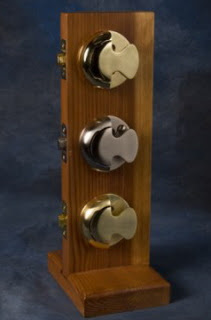 A young man (not a locksmith) created his own picks from simple widely available materials and proceeded to show how quickly and easily he can get in to one of the most common locks on people front or back doors across America. Maybe people will start to learn why it is becoming necessary to have a Bilock lock on their door. Bump proof but not pick proof! Here is an example of a locksmith demonstrating the procedure and tool required to manipulate a Union 5 Lever mortise lock, commonly found in Europe and the UK. This spot is from November last year in Cincinnati Ohio. Here, Marc Tobias mentions some common locks in the USA that are supposedly better quality, yet the Primus he mentions has already been bumped open. 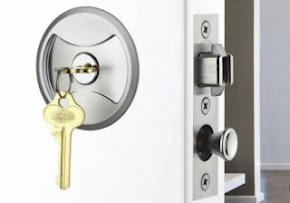 There is a lot of commotion being made surrounding the lock bumping phenomenon and there are many videos and news reports around the country and around the world that have become very popular lately. The Japanese economic ideology known as the Deming Principle, has one fundamental characteristic. CANEI. The CANEI principle is Constant And Never Ending Improvement. This ideology probably explains why the Japanese have proven in the last 50 years to be so dominant in many and varied industries. From automobiles to airplanes to lawnmowers to computer hardware and software to televisions to cameras. The list goes on. MIWA is a well known Japanese company in the locksmith world that has been producing many quality products for many years. One of their latest designs invoves a disc tumbler system similar to abloy but with a high tech new look and operation. The following video is narrated in Japanese. We appologise for no English translation, but the principle is clearly shown. Home Security device - low upkeep. A burglar broke into a house one night. He shone his flashlight around looking for valuables. When he picked up a CD player to place in his sack, a strange, disembodied voice echoed from the dark saying, “Jesus is watching you”. He nearly jumped out of his skin…. clicked his flashlight outs and froze. When he heard nothing more, he shook his head and promised himself a vacation after the next big score. He clicked the flashlight back on and continued his search for valuables. Just as he pulled the stereo out to disconnect the wires, he heard “Jesus is watching” again as clear as a bell. Freaked out, he shone his light frantically around the room. The light rested upon a parrot in a cage. “Did you say that”, he hissed at the parrot? “Yep”, the parrot confessed and then squawked, “I’m just trying to warn you”. Warn me said the burglar! Who the heck are you? “Moses”, said the parrot. “Moses” the burglar laughed. “What kind of stupid person would name a parrot Moses”? “Probably the same person who would name a pit bull Jesus”, the parrot answered. Prevent unauthorized access to small enclosures, such as cabinets or drawers. The 80-Pound Electromagnetic Lock mounts to a small enclosure, keeping it securely closed until you release the powerful magnet manually through your hardwired security system. 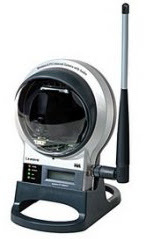 You can also control the 80-Pound Mini Maglock with a standalone RF transmitter and receiver system. A 12-volt power supply is required and sold separately. 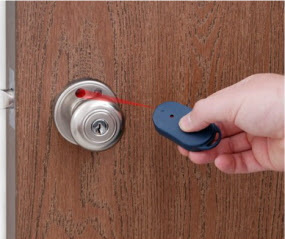 Locks210.com are pleased to supply and install this product using a Bilock Extreme Security key cylinder or we can provide a code pad and/or remote transmitter. P.O.A. A Sacramento, California based company has recently been selected as a semi-finalist in the Modern Marvels Invent Now challenge. Here is a picture of their signature product. Bump keys are a hot topic today. The following news report is about a week old but explains the phenomena quite well. Our product, Bilock is one of only 2 products currently available in the USA that is guaranteed bump proof. There are many brands of Master Key systems available today. None quite so innovative as Bilock. 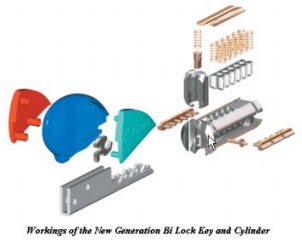 Bilock offers the unique opportunity to easily identify the different keys in any master key system with the use of a novel coloured key head design. it's still virtually impossible to duplicate! The dual BiLock keyway and strict key control by authorised BiLock agents only remain with New Generation BiLock. Locks210.com is pleased to introduce our signature product. This blog is set up to inform about historical and modern approaches to Physical Security products and services. 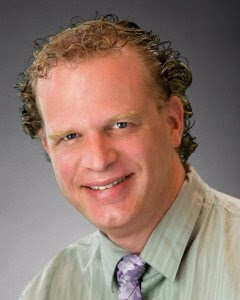 Locks210.com, a division of Master Key Systems America LLC, established in 2006, offers residents and businesses top quality products and services. Our conveniently located workshop and service vehicles are uniquely designed to offer trade qualified , bonded, insured tradespeople with knowledge and experience spanning multiple countries and product lines. 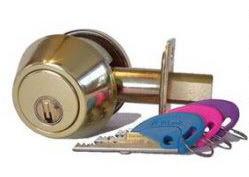 Locks210.com offers services tailored to suit the core operating hours of Monday - Thursday 2pm - 10pm, to help aspiring residents and businesses to find quality lock services without paying penalty rates for these times. For unsurpassed quality of service, call (314) 266-1533 now!